Simulation technology specialist, Altair and the Center for Automotive Research (CAR) have announced the winners of the annual Altair Enlighten Awards, which recognize achievements in vehicle weight savings. The award is judged by an independent panel of automotive industry experts, academia and the engineering media, who selected six winners from a field of 57 finalists. 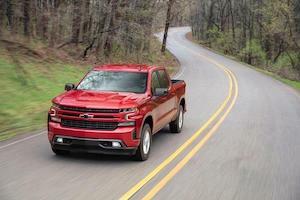 The winner in the Full Vehicle category was General Motors’ 2019 Chevrolet Silverado, which weighed in at 450 lbs (204.5kg) lighter than its predecessor, mainly thanks to a multi-disciplinary optimization CAE approach, use of a higher percentage of advanced high-strength steels, and new assembly methods in the development of the cab and frame. 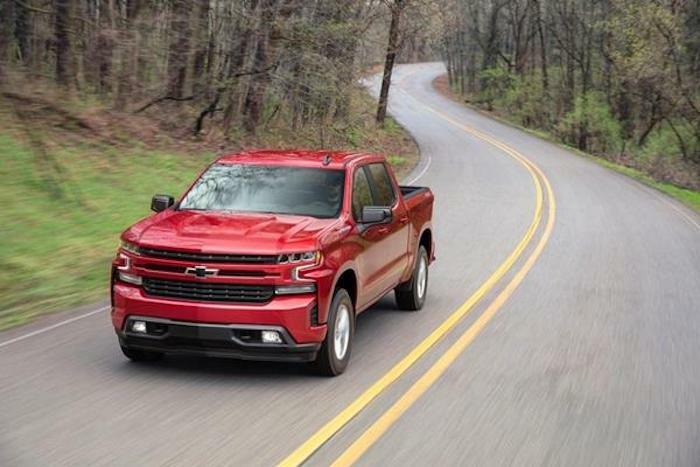 General Motors also achieved 23% more storage space, greater dynamic stiffness, improved corrosion prevention, better NVH performance, and increased impact protection on the 2019 model. The Module category, which focuses on vehicle systems, subsystems and components, was claimed by BMW Group for the metal 3D-printed convertible roof bracket for the i8 Roadster. This component marks the first time a metal 3D-printed part has been used in a series production vehicle. Produced with Selective Laser Melting (SLM) technology without needing any support structures, it was also the first time a topology-optimized design has been translated nearly 1:1 into a series production vehicle to capture a 44% weight savings and tenfold stiffness increase. 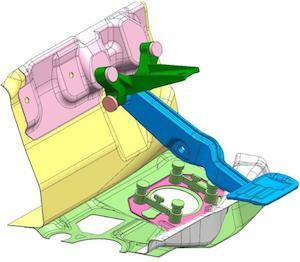 For the Enabling Technology category, which focuses on technological advances enabling OEMs to save weight, the judging panel found the competition too tight and elected to recognize three category award winners: Asahi Kasei Corporation and Mazda Corporation; Sika Automotive; and US Steel Corporation. Asahi Kasei Corporation’s winning entry (pictured right) was a novel production brake pedal bracket for the Mazda MX-5 that was designed using glass fiber-reinforced polyamide 66. 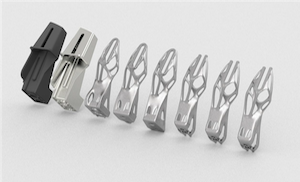 The injection-molded design required the team to withdraw from conventional thinking allowing for the removal of unnecessary metal parts to realize a weight saving of 83%. Sika Automotive’s winning entry was an ultra lightweight constrained layer material system for structure-borne noise damping. Typical materials for structure-borne noise damping have an area weight of 5kg/sqm, which was reduced by up to 80% in mid-sized sedans, such as the BMW i8, Audi Q7, and Daimler A-Class, when using Sika’s new ultra-lightweight material system. US Steel’s winning entry of ​Martensitic Advanced High Strength Steels for Low Mass Structural Components, Mart-Ten 1500 was recently introduced to the automotive market, with ultimate tensile strengths claimed to exceed 1,500MPa. In addition, advances in continuous annealing technology have enabled the Gigapascal strength to be achieved consistently and repeatedly in mass production to offer more than 10% in weight savings. The Future of Lightweighting category was introduced this year to recognize innovative ideas, processes, materials and technologies that have significant potential to support lightweighting initiatives, but have yet to be leveraged on a production vehicle platform. 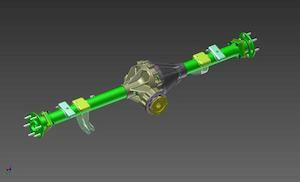 American Axle & Manufacturing was the inaugural award winner in this category for its Quantum Driveline Architecture. Quantum integrates proven materials and technologies to reduce the mass of light duty pickup rear axle systems by 35%, increase transmitted power efficiency, and deliver robust NVH performance.